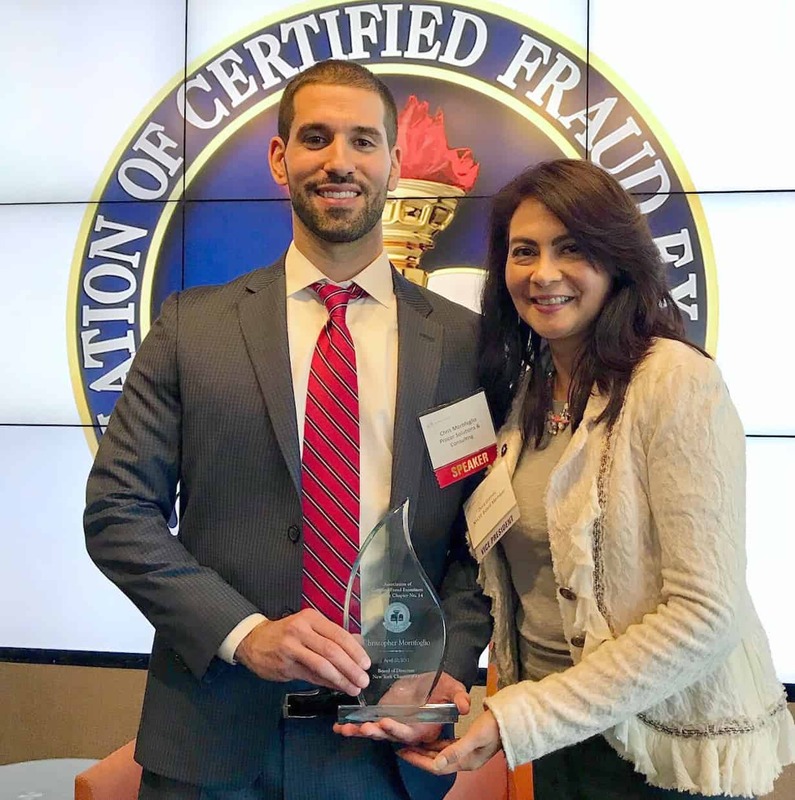 Chris Mortifoglio, Procor Senior Vice President and Dora Gomez, Vice President /Training Director of the New York Chapter of the Association of Certified Fraud Examiners. 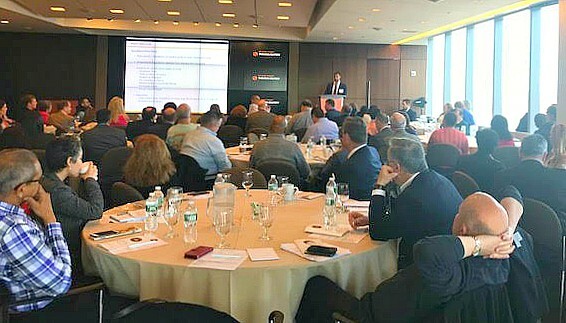 On April 20th, the New York Chapter of the Association of Certified Fraud Examiners hosted its Spring Fraud Conference at the Times Square offices of Thomson Reuters. The conference and all NYCFE events aim to foster the goals of the chapter by educating members and raising awareness of fraud detection and fraud elimination. This year’s keynote speaker was Mr. Anthony Menendez, the whistle-blowing accountant who took on Halliburton and won. Immediately following his address, Procor Senior Vice President and Director of Forensic Accounting, Chris Mortifoglio kicked off the day’s presentations. Mr. Mortifoglio took the podium before a sold out crowd to present “Employee Theft Claims: How to Document, Quantify & Recover from Insurance”. The presentation walked the audience through the ins and outs of how organizations who experience losses related to employee theft can pursue a recovery of funds through insurance. The standard concepts behind insurance policies as well as key terms and conditions to know were covered by Mr. Mortifogio, before he dove into the process of documenting, quantifying and ultimately submitting a theft claim to insurers using real life examples. ABOUT: The New York Chapter of the Association of Certified Fraud Examiners is an anti-fraud organization that serves professionals, students and communities in Brooklyn, the Bronx, Manhattan, Staten Island and Queens, as well as the New York Metropolitan Area. Formed in 1990, New York Chapter #14, is one of the 100+ national and international Chapters of the Association of Certified Fraud Examiners. It’s mission is to provide high quality continuing professional education and networking opportunities, as well as to raise community awareness regarding various types of fraud.